It's been a while since I've opened up 11/12 Black Diamond it seems... but even so, Black Diamond looks the same to me year after year that it would be hard to tell what product I had in my hands if the release year wasn't on it. I usually shy away from Black Diamond blasters, but since this one was cheap enough I decided to go for it and give it a try. 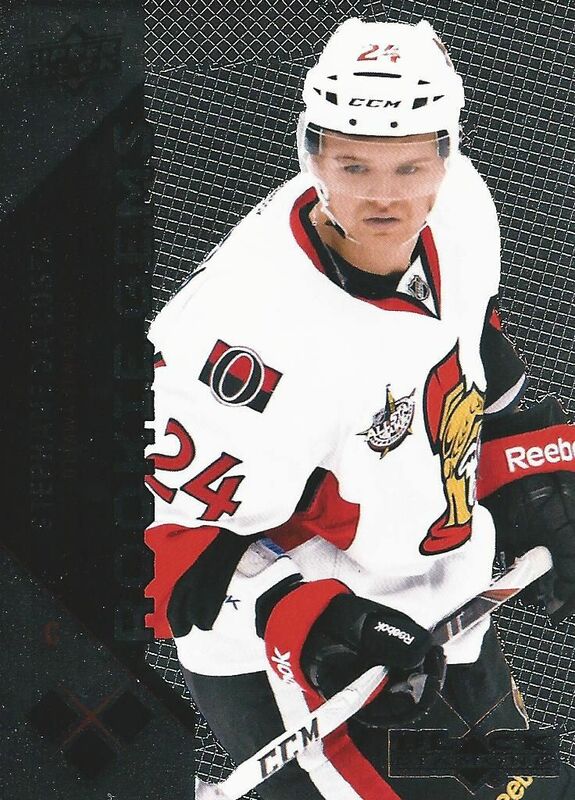 Looking back at 11/12, it wasn't a huge year for hockey cards. Ryan Nugent-Hopkins was the big rookie to get with Gabriel Landeskog coming in second. The previous year seemed to be much more exciting. But still, 11/12 beat 12/13 in terms of which year was better. 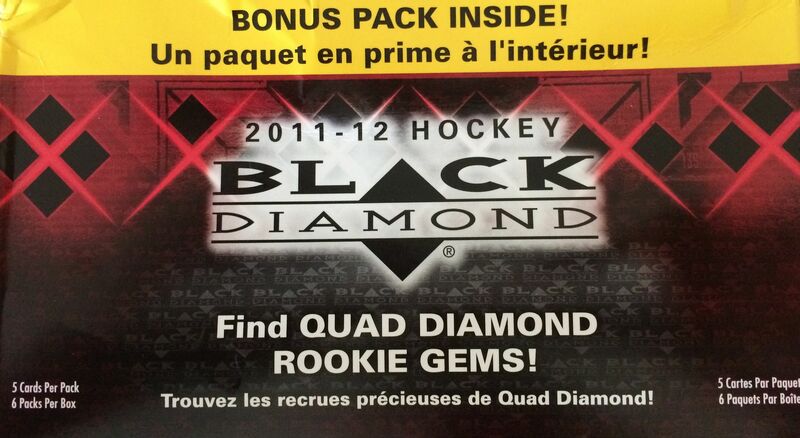 With this blaster of Black Diamond, I'm hoping for an RNH or Landeskog rookie card. Getting one of those two would be great! Odds are pretty slim though, and getting any sort of hit from this blaster would be miraculous. This was a pretty typical Black Diamond blaster. Yes, I did get a rookie card, but it was only of the Triple Diamond variety. I didn't even get any Triple Diamond base cards - just double and single diamonds! This year's Black Diamond base cards look a bit brighter to me, and that did stand out as a positive (as most Black Diamond cards are a bit dark I find). But other than that, this is a box that I would not have been happy with had I paid the full $20 price for it. Actually, I'm not very happy about it at the $10 price level either! This was my favorite single diamond card out of this blaster. 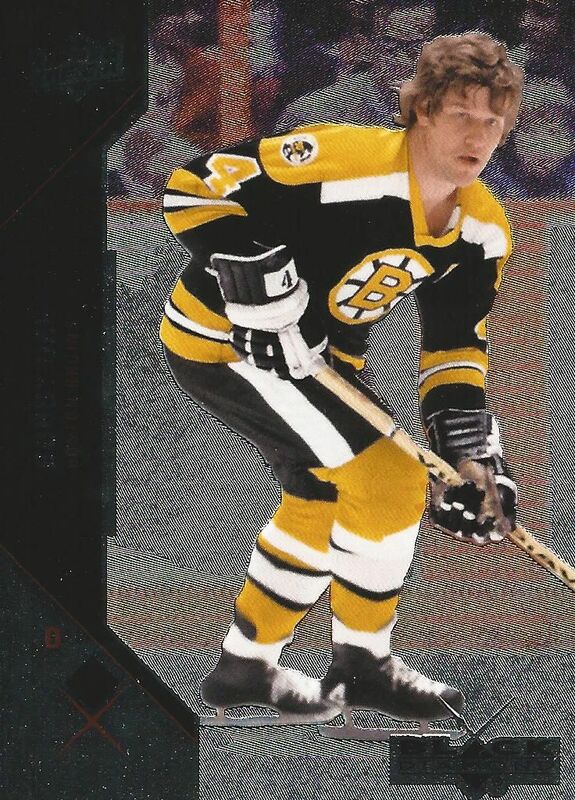 The foil technology Upper Deck used actually makes Orr look like he's playing in modern times. Niemi was one of my two Double Diamond cards from this break. 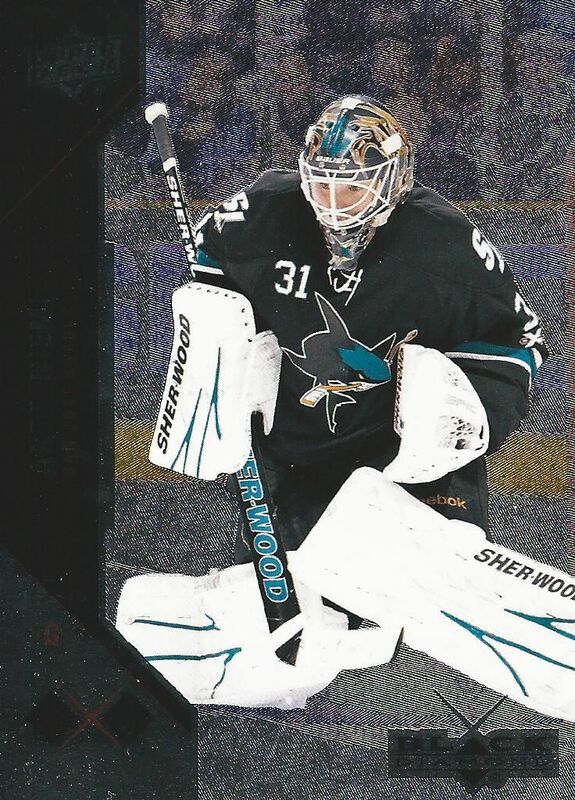 As a big Sharks homer, I had to pick Niemi as one of my top card pulls this week. The only Triple Diamond was this Rookie Gem of Stephane Da Costa. I'm definitely not really excited about this card, but it's probably the most notable card that came out of the blaster. Once again Black Diamond give me an underwhelming performance. It's just too much money for too little in return. The cards are good looking, and I'm sure there are many who enjoy the unique foil look of them, but the odds of pulling anything worth getting are just too slim. I would save my money and try many other products before settling on a blaster of Black Diamond.